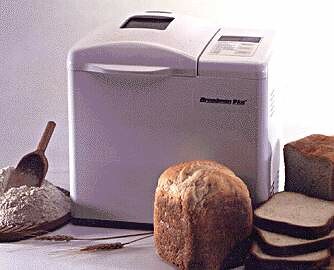 I think I'm a little late arriving to the breadmaker scene but I'm finally here and this post is mainly intended for those of you out there who either have one and aren't using it or don't have one and don't know what you're missing. When I found that my family was cranking through sandwich bread faster than I could buy it, I wondered if there was a better way to get my hands on a fresh loaf than packing up the 3 1/2 year old and heading to the store. I posted on my personal Facebook wall that I was looking for a breadmaker and several people spoke up saying I could have theirs. I took my sister in law up on her offer of a Breadman Plus. I found the owner's manual online somewhere and printed it out. It included instructions for use and a handful of basic recipes. I read through it and learned that using a breadmaker is even easier than I ever expected. Next you lock the pan into the machine, shut the lid pick your cycle and hit start. Depending on what kind of bread you're making, in around 2 1/2 hours, you'll have fresh bread containing ingredients you can pronounce. The loaves are shorter than the ones we used to buy at the store but without any preservatives, they also don't last quite as long so the size works out just fine for us. I calculated it out and figure we now spend about $.30 per loaf of regular white sandwich bread. One minor drawback is that with shorter loaves comes more heels which we don't particularly like but I've been tossing them in a basket at the back of our counter to let them dry out. 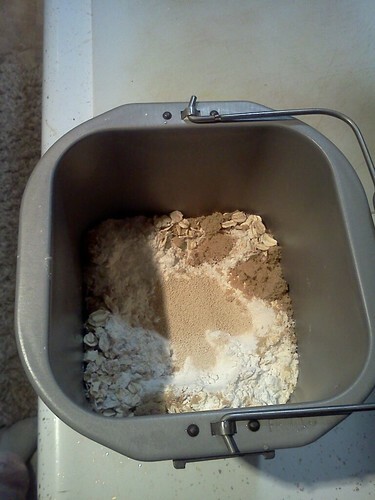 Once they're good and dry, I run them through the food processor and add them to my container of breadcrumbs. Brillant post. I think I'm pulling out my breadmaker today! Thanks for the inspiration. Yay!! Please let me know if you find any great recipes. Today we left to pick up the little guy from his Gamma's house and came home to a warm house smelling of fresh bread. How nice to know we've got fresh sandwich bread for the next few days and what a welcome smell. I must admit, I am one of those people who always thought a bread machine would be nice..."but"! 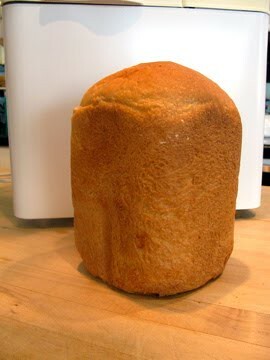 After reading your post and seeing that a loaf of bread would be about .30 cents I think I may look for a used one and give it a try!! I am feeding teenage sons...so every savings with food helps!